Waffles are such a great weekend breakfast! Its nice from time to time to pretend it’s summer in the middle of winter and make blueberry waffles. I used a Belgian waffle iron, but any waffle iron will work…. Bring the mixture to a boil, then turn it down and cook on medium low, stirring frequently, until the mixture begins to thicken, about an hour. Put all the dry ingredients in a large bowl and whisk to mix them well. 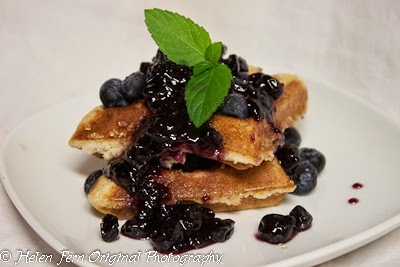 Mix the wet ingredients (except the blueberries) in a smaller bowl, whisking until the eggs are mixed in well. Pour into the dry ingredients and stir until well mixed. 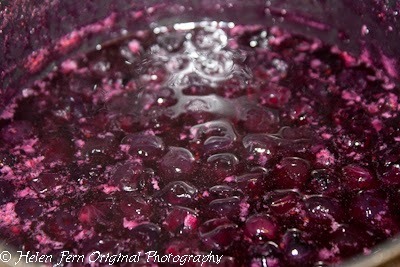 Gently fold in the blueberries and allow the mixture to rest about 10 or 15 minutes. Heat up your waffle iron – I used the Belgian waffle iron –and pour about 2/3 to ¾ of a cup of batter in, close the iron and cook until brown and done. You’ll have enough for four very large waffles! As each one finishes, spread it with a tiny bit of butter and sprinkle it with raw sugar. To serve, cut each waffle into fourths. Put one on the plate, pour on some syrup and blueberries, top with another fourth and pour on my syrup and berries. You can even add a little whipped cream with fresh grated nutmeg. 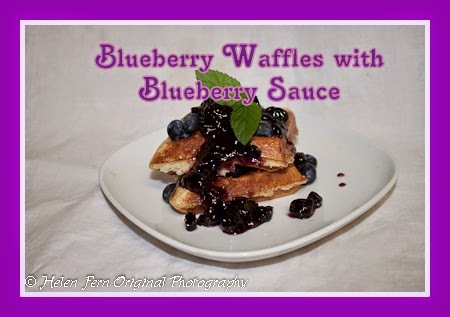 This entry was posted in Blueberries, Breakfast and tagged berries, blueberries, breakfast, brunch, summer, waffles. Bookmark the permalink. Now you did it! I want waffles for dinner. Pinned and shared. Thanks for linking up at #ThursdayFavoriteThings! I hope you will join me at #Wonderful Wednesday. LOL – They were tasty!! Thanks for stopping by! This looks so amazing! 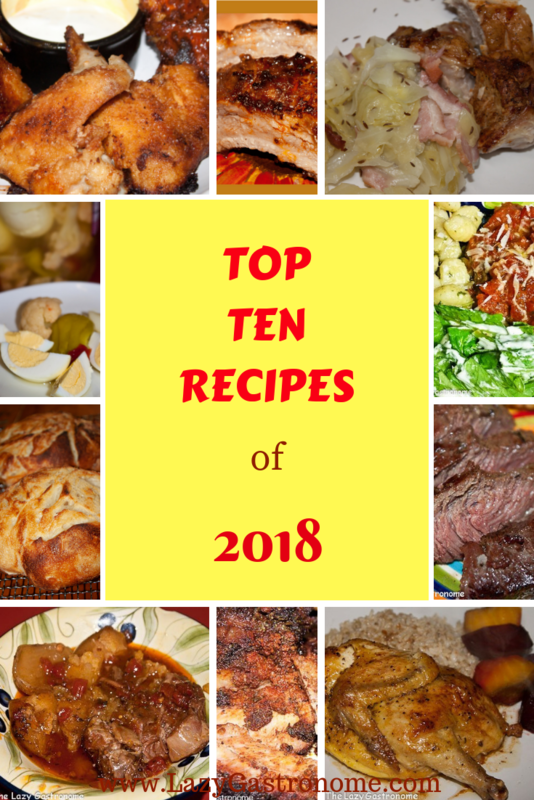 I don’t use my waffle iron as often as I would like but I’m always looking for new recipes to try out. Thank you for sharing this with us on the #FFBH! 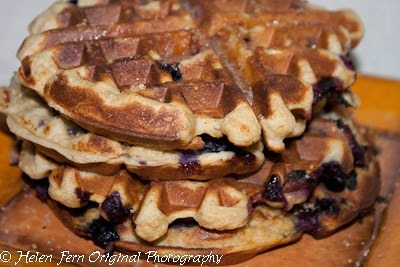 I love blueberry waffles and saved the recipe. Can’t wait to try the blueberry syrup!